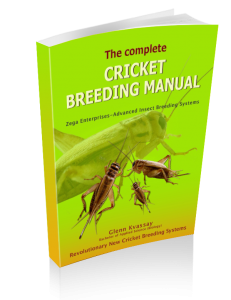 This cricket breeding manual is the most comprehensive available at 165 pages and includes over 240 color photos, diagrams and tables. It shows you how to build all components with “Step by Step” instructions. • That’s over $1400/year cash you are currently throwing away!!. This comprehensive guide will save you thousands of dollars, and hundreds of hours in wasteful and painful experimentation. Price for Full Color Paperback version includes worldwide shipping and handling, using the secure Amazon publishing services. We also include complimentary email and video support (Skype or Facebook live). If you are not completely satisfied, we have a 100% money back guarantee! 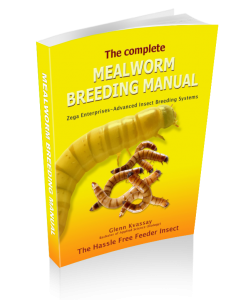 Why are our cricket breeding systems low maintenance? Well in a nut shell, there are two separate zones within a single container (conventional techniques require up to 6 separate containers); one high humidity area ideal for breeding; and a lower humidity area which is required for housing and food/water. A unique detritus collection system which collects the waste and prevents contamination of breeding substrate and food areas. The combination of these zones makes cleaning a breeze, eliminates odors and disease, increases egg viability and significantly increases cricket production. Water and food dispensers feed and water your animals even when you’re on holidays! Unlike conventional techniques which need to be actively managed (daily spraying, and moving pinheads to new containers) our systems run themselves!. No matter your skill level, our commercial techniques will improve your efficiency and move you well past the “place a bowl of vegetables and toilet roles in a fish tank” stage. 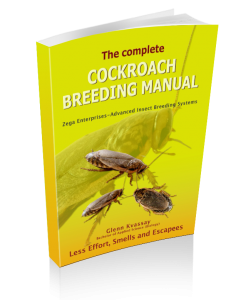 For a small one-off investment, you will be armed with numerous techniques that will fast track successful cricket breeding. This will save you thousands of dollars, and hundreds of hours in wasteful and painful experimentation. We also include complimentary email and video support (Skype or Facebook live). If you are not completely satisfied, we have a 100% money back guarantee!